When you are looking for a conveyancing solicitor to deal with the purchase or sale of your home, you are likely to come across no sale, no fee options. We take a look at what no sale no fee conveyancing means, how it works, what costs aren't included, and whether it should sway your decision when instructing a legal firm. No sale no fee conveyancing is a sales promise that many conveyancing solicitors offer. It simply means that if the sale or purchase of your property falls through you won’t have to pay their legal fees. It is also sometimes called no completion, no fee. How does no sale no fee conveyancing work? A conveyancer or solicitor who doesn’t offer no sale no fee is likely to charge you even if the property transaction doesn’t complete. So, if it collapses a few weeks in, then you’ll have to pay for the legal work completed up to that point. Figures show that more house sales are falling through than ever before. Figures from our Annual HomeOwner Survey show that 300,000 property transactions collapse every year. No sale no fee conveyancing addresses the worry that you could be left to pay hefty fees. According to our research, conveyancing fees cost between £850 and £1,500. Add in the fees for searches and a collapsed property transaction costs an average £2,700. Typically, you’ll pay a small initial deposit for the security of no sale no fee but nothing more if the transaction fails, with the balance due upon completion. Even with no sale no fee you don’t get off completely scot free if a transaction collapses. You will still have to pay for any additional fees that have racked up during the process. For example, survey costs or search fees. Who offers no sale no fee conveyancing? This kind of price promise is more often offered by online conveyancing firms rather than traditional solicitors. This could be a factor when you are choosing between a conveyancing firm and a solicitor. Here at HomeOwners Alliance our panel of conveyancers offer a no sale no fee guarantee. If a transaction doesn’t proceed to completion, you are not liable for any legal fees. How much does no sale no fee conveyancing cost? Because it tends to be offered by online-only firms no sale no fee may be cheaper than going to a traditional solicitor. But no completion no fee could be more expensive than a package offered by the same firm where you take the risk of having to pay if the transaction falls through. With no sale no fee conveyancing you’ll usually pay around £160 to £300 when you instruct your conveyancer, but nothing more until completion. This payment covers third party costs such as searches. All in all, failed attempts to buy and sell property wastes over £500m a year. So a small fee to save yourself £1,500 on average in legal fees could be worthwhile. What do I gain from no sale no fee conveyancing? If a sale falls through some firms that offer no completion no fee will transfer your initial deposit to a second property transaction. It’s worth asking about this, as this could be a handy extra saving if your first attempt does fall through and whether there are any time limits on this offer. The HOA panel of conveyancers offer a no sale no fee guarantee. You won’t pay any legal fees if a transaction collapses and there is no commitment to use the same law firm again. Also, some conveyancers, including those on our panel, will let you have the searches on your next property for free as a goodwill gesture for staying with them. That’s if the last transaction collapsed through no fault of your own and you find another property within around six months. A no completion no fee guarantee doesn’t mean you’ll get away scot free if your transaction falls through. It doesn’t cover third party costs such as fees incurred when you arrange a survey, or the local searches which are organised by your conveyancer. It just covers the cost of your solicitor or conveyancer. For example, their time in looking at your case, writing letters, organising things etc. 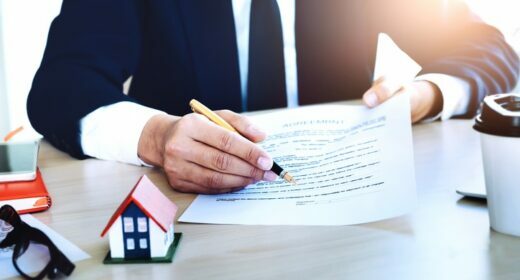 If you aren’t sure whether to progress with a purchase, but you need to show you have appointed a conveyancing firm, you can ask them not to incur any expenses initially. That way you can finalise your financing or get a survey done before any other fees start mounting up. You should also consider taking out HomeBuyers’ Protection Insurance. This will enable you to claim back some of your survey, valuation, search and mortgage fees if a purchase falls through. Just be aware you must take out this insurance before you appoint a conveyancer. Gazumping – This is where a seller accepts a better offer for the property even though they already have a potential buyer in the process of purchasing the property. Gazumping tends to be more common when the market is rising, and sellers are tempted by a higher offer weeks or months down the line. Gazundering – This is where a buyer lowers there offer at the last minute. It’s not fair, but gazundering is legal and it can derail a transaction. Multiple offers – Sometimes sellers will accept offers from more than one buyer with the understanding that the first buyer that is ready to exchange will get the property. A break in the chain – The longer the chain of buyers and sellers you are in the more likely it is that the process will fall through. This is because you are reliant on several other people selling their homes and buying the next property in the chain. Someone changes their mind – Whether it’s for family, work or financial reasons there are numerous circumstances where a buyer or seller may simply change their mind about the transaction. A poor survey – The reason we all get surveys is to check a property isn’t hiding any expensive problems. A bad survey is the cause of 6% of collapsed transactions. Failed finance – Our research found that 28% of property transactions failed because buyers finances weren’t in order.